All About You personal care aides are most often Certified Nursing Assistants, licensed Home Health Aides or experienced Personal Care Aides. All our aides must pass a competency exam prior to employment. Our aides can provide hands on care and assistance with any activities of daily living. This service also includes Transportation, Home Helper and Companion Service. "I have known of the agency named "AII About You" for quite a few years. My personal connection is a very recent one. As a World War II veteran, my husband, has been granted an in-home service plan by the Veteran's Administration Agency of the Leeds Chapter, due to the combined factors of his age and diminishing memory. The VA then contracted with All About You to provide this service. This choice was the beginning of our interaction with this agency, who then assigned a helper to visit my husband as a new client." "Our initial visit was a learning process for both participants. Since having perused all advance materials, I had an understanding of the basic expectations and the services to be provided, as well as to the roles of all involved." "Gaining a personal and trusted connection between client and service person included a learning curve for both of them. The CNA assigned - Adrienne Cooper - held the advantage for progress due to her experience and dedication to generating a comfort zone for the client. My observations and expectations were based on knowing the reservations/resistance to my husband accepting a virtual stranger taking a somewhat personal intrusion into his home. By patient and gentle interaction, she slowly won his trust, and (YES!) his cooperation." "The connection now has advanced to the point that he enjoys her visits and sometimes even questions why she is leaving at the end of her daily service time. This testimonial is presented to your Agency and to Adrienne Cooper in particular, since the professionalism displayed is of the highest quality and the added benefit of compassionate caring for clients is a deeply appreciated bonus." "Also, sincerely appreciated is the sensitive and on-going follow-up connection to the needs - and/or concerns of the client by the staff of All About You to assure these clients that quality service is always their goal." "They sincerely care about their clients. You can always call the office anytime day or night. Reliable. They are honest individuals. I always felt totally at ease and comfortable with them. Several times they’ve gone out if their way for me. Since I’ve been involved with you guy’s my spirits are much higher. Even though I have a health condition the way I’m treated by the employees at All About You I almost forget I have it. They are all god sent to me. I’m very lucky to have them. I would highly recommend their services to everyone." "I have been with All About You for 9+ years. Since I lost my wife they have helped ease the pain and loneness. All About You does an exceptional job. 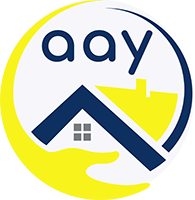 I highly recommend their service to anyone in need." Copyright © All About You, LLC. All rights reserved.